Purchased new by Milt Marion and driven by Sam Hanks in the 1949 Indy 500, Neil Carter at Del Mar in 1949 and Bill Holland in the 1949 Sacramento race. The car has appeared five times at the Indianapolis 500, qualifying twice. The engine is the original Horning GMC 270ci with 12-port iron head. 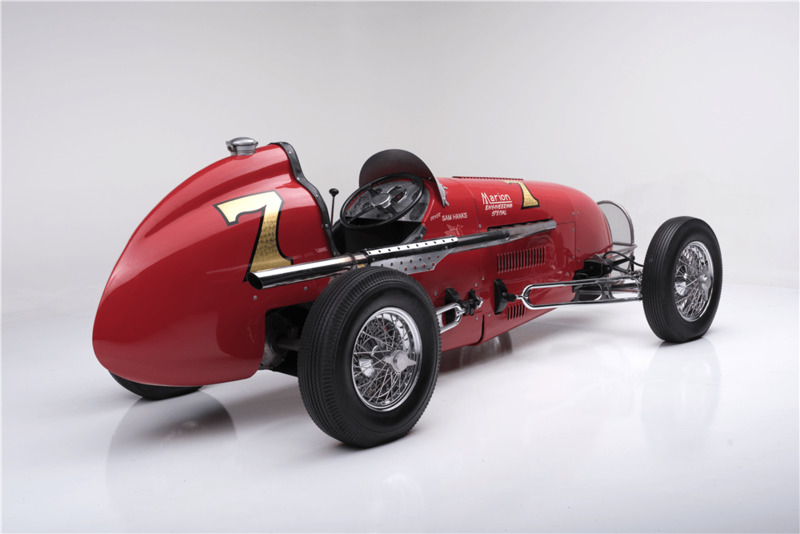 The engine was developed for the Don-Lee Bonneville Streamliner and later for this Indy car. The front end of the motor and ancillary drives are the original roller cam developed by Chet Herbert. 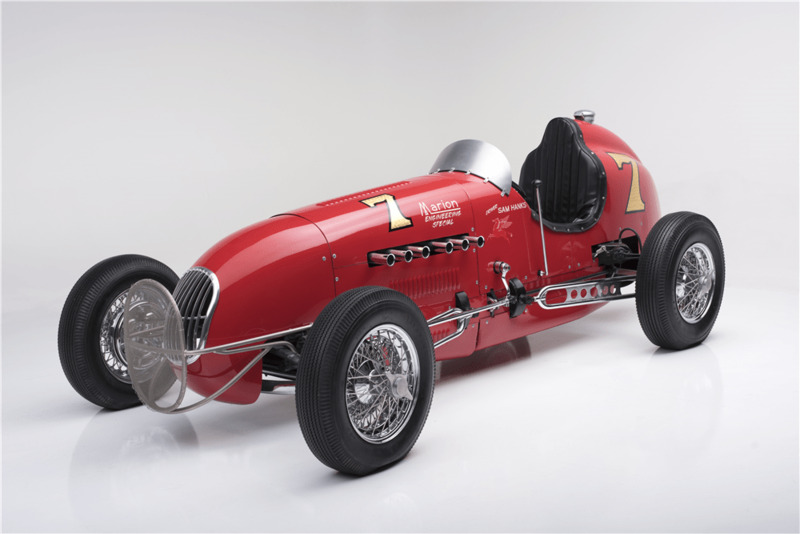 The fuel injection was developed by Hilborn, and the chassis and body were created by Kurtis. Milt Marion designed the cross-springs. It has a Halibrand rear end. The car has never been wrecked. It was the 1983 Santa Barbara Concours winner, comes with painted Von Dutch sign.